Description: Best location in the complex! Spacious, quiet and in showroom condition. 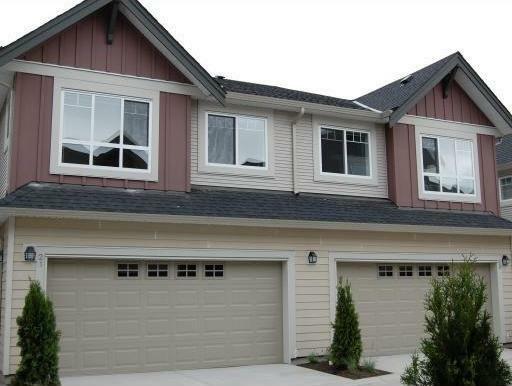 This fabulous duplex in only 2 yrs new, 4 good size bedrooms (with walk-in closet in master), 2.5 baths, 1422 SF, double SxS garage plus 1 parking on driveway, fully fenced private backyard, security system, S/W/N exposure, HRV system, 9' ceiling and laminated wood flooring, granite countertops in kitchen and all baths, S/S appliances, maple cabinet, expansive windows and more...Low maintenance fee and balance of new home warranty. Close to transit, mall, schools and park. Ready to move in!